The changing nature of the British society with its need for technical expertise is reflected in Dracula even though the agents of the state—judges, police, the armed forces and public officials—do not appear except in a most peripheral way. Indeed, the novel on one level repudiates the idea of the state as it is the efforts of individuals who analyze and resolve the problem of destroying Dracula. 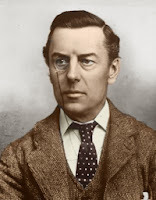 This alliance loosely mirrored the British cartel alliances that the Colonial Secretary Joseph Chamberlain believed were necessary to reverse a trend that the industrial pre-eminence of Great Britain was slipping away owing to the threat of foreign economic competition from Germany and the United States. After basking in the commercial warmth of free trade for over a half a century as the undisputed economic giant, foreign investment and free trade represented a threat. Chamberlain vigorously challenged his own Conservative government to end free trade and introduce tariffs and an imperial preference for the Empire. Only if they integrated more with the Empire could they successfully compete with the new rising powers. (Chamberlain’s failure to convince the government to change its policy resulted in his resignation from the cabinet.) I said loosely because Van Helsing’s hunters were out to destroy not a Western power, but the undead from an alien culture (read Eastern European) whose blood imperiled Western women and threatened to conquer the West itself. This interpretation of Dracula with its gender and political nuances is not incompatible with that of Dracula posing an economic threat. Not only is Dracula perceived to be a foreign predator, but also a monopolist, a capitalist threat with his huge accumulation of capital (that Harker had discovered in Dracula’s castle). According to Gothic scholar Davenport-Hines, (Gothic: Four Hundred Years of Excess, Horror, Evil and Ruin Fourth Estate, 1998), Dracula’s expertise in British commercial transactions, words, “are as calculated and comprehensive as those of a tycoon preparing a business coup.” Like monopoly capital, his aim is to destroy any form of competition and independence. Because the British in 1897 could not conceive of capitalism as being monopolistic, the threat had to be perceived as foreign and a residue from the medieval past where Dracula represents the tyranny of feudal monopoly. On another level, the bureaucratic compilation of documents, and the need to control the sensitive material that provide the necessary data and insights that make the mission possible, attests to the development of the needs of the modern state as articulated by the New Liberalism. 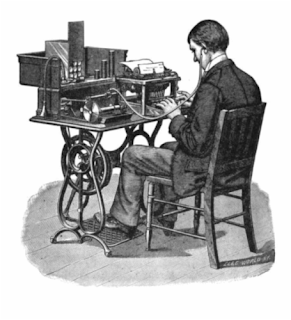 Moreover, the preoccupation in the novel with the new technology of communication through telegrams and reproduction—travelling typewriters, Kodak cameras, and recording machines—to achieve greater efficiency parallels the need for greater industrial productivity if Great Britain were successfully to compete. It was only though the compilation, analysis and above all the reproduction of the documents that enabled the hunters to track down Dracula. The vampire recognized its importance by discovering and burning the manuscript only to be frustrated by the team’s decision to have another copy in the safe. Mina’s mastery of shorthand that allows the team to trump the vampire’s ancient script illustrates the triumph of modernity over the past. 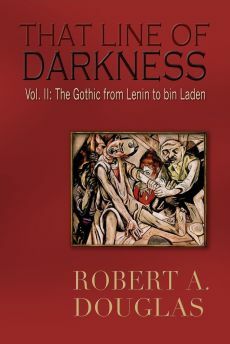 Paradoxically, the characters recognize how the new technology accesses and reproduces information as well as its potential to sanitize emotions in order to gain an understanding and knowledge of the vampire. 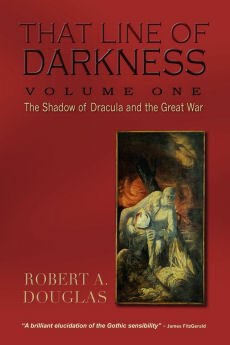 It is significant that Mina only read and began to transcribe Jonathan’s journals as soon as she realized that the Dracula was in London; knowledge of the enemy was essential to its defeat. "I put the forked metal to my ear." The machine is a typewriter for transcription of the recording. The drawing is dated 1897, the year of Dracula's publication. Acquiring intelligence about the enemy has always been present in war, but in the twentieth century, the capacity to skillfully exploit the new technology became a vital imperative. 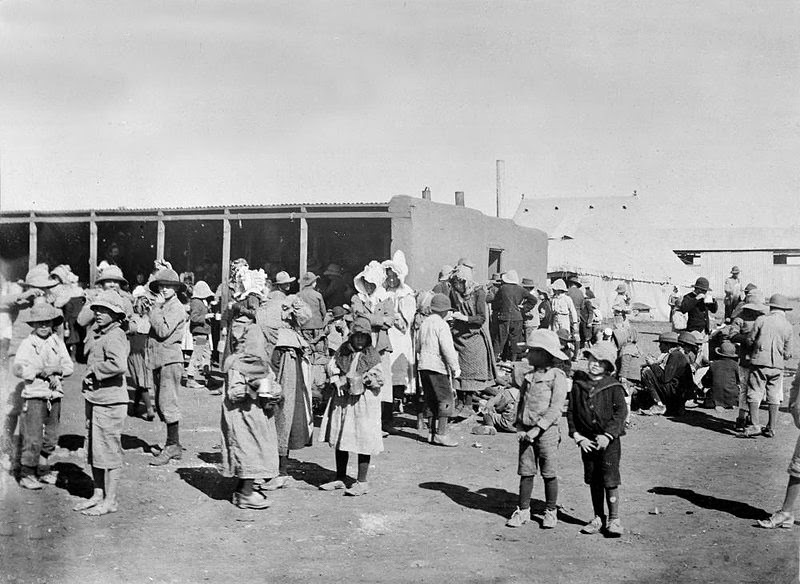 Control over information through media manipulation, as demonstrated in the Boer War through fabrication and censorship in both the print and the new cinematic medium, was something that would accelerate in the twentieth century and would become a major instrument of the British state in times of national crisis. For example, actors would be recruited to stage mock attacks and they would be filmed in a London suburb. Scenes would be shown that was designed to inflame British public opinion against the Boers. Unwashed Boers would attack a hospital tent or a British soldier would be shot in the back after providing water to a wounded Boer. On the last page of the novel, Harker, in looking over the mass of material written and collated years earlier, questions its authenticity as evidence for “so wild a story.” Stoker may be suggesting that evidence garnered from the technology can be manipulated or erased: a prescient observation on a salient feature of totalitarian regimes of the future. Moreover his own articles on censorship of books and the theatre attest to his belief that certain ideas could be dangerous and needed to be carefully vetted by the state.